EDSITEment is a partnership among the National Endowment for the Humanities, Verizon Foundation, and the National Trust for the Humanities and is a proud member of the Thinkfinity Consortium of premier educational websites. An ideal resource for teachers, students, and parents, EDSITEment offers a collection of educational material relating to such humanities subjects as literature and language arts, art and culture, and social studies. EDSITEment features lesson plans, interactive content, as well as links to NEH-funded projects of interest. 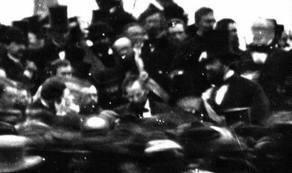 Gettysburg Address featuring EDSITEment’s lesson plan for teachers. Click here to explore how holiday traditions have evolved over time with EDSITEment’s lesson on The Gift of Holiday Traditions: Kwanzaa, Hanukkah, and Christmas.